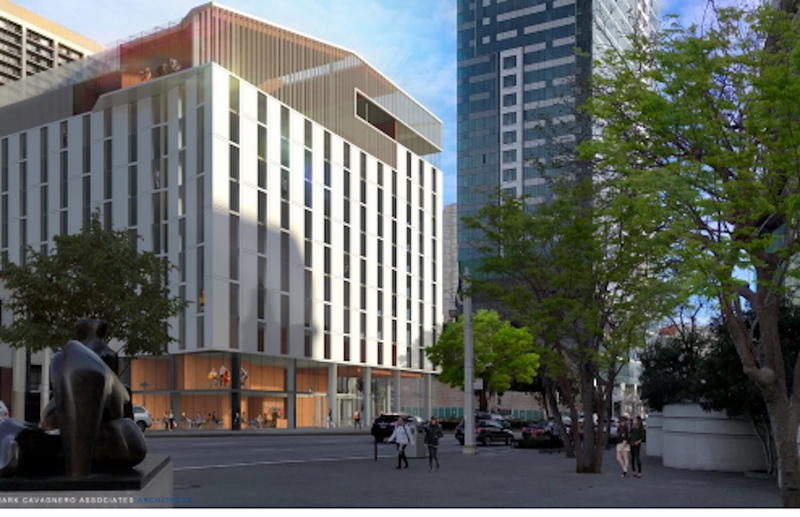 Students of the San Francisco Conservatory of Music could have a new housing option in the Civic Center if plans to replace 200-214 Van Ness Ave., move forward. 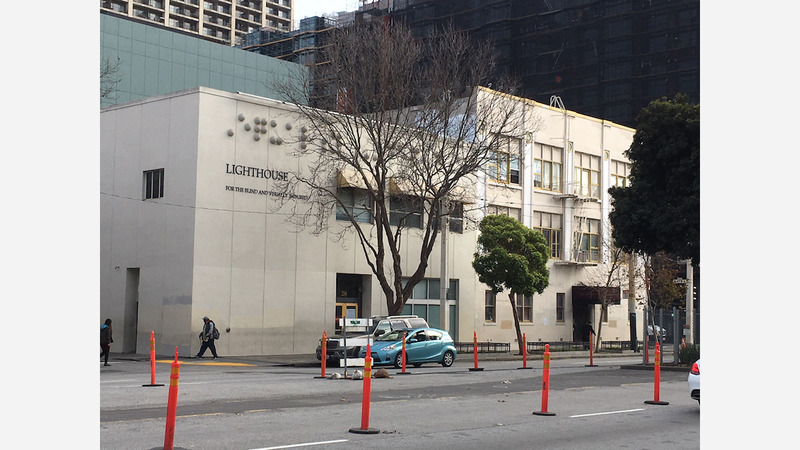 The building that formerly housed the Lighthouse for the Blind and the one next door at 214 Van Ness would be demolished to make way for a 12-story housing and performance space, according to documents filed with SF Planning by the conservatory and Mark Cavanero Associates Architecture in October 2016. The 13,000 square foot block is bounded by Van Ness Avenue, Hayes Street, Lech Walesa, and Polk Street. 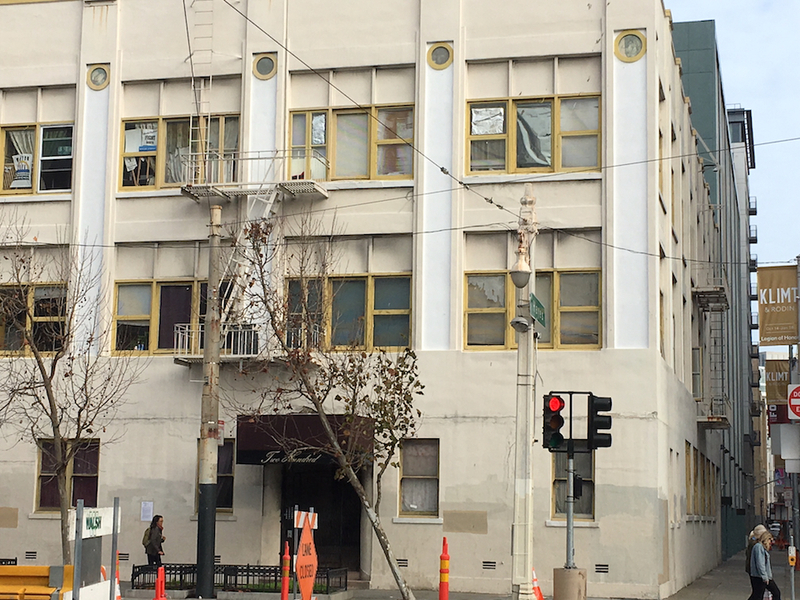 The building at 200 Van Ness currently includes 27 rent-controlled residential units, which the plans proposed by the conservatory would replace with new units on the development's second and third floors. These replacement residences include six studio apartments and 21 one-bedroom units that will be accessed via a dedicated elevator, spokesperson for the project P.J. Johnston told us. "These apartments will all remain rent-controlled," he emphasized. Lighthouse for the Blind has meanwhile moved over to new headquarters at 1155 Market Street. The conservatory is currently working with the city, the housing community, and the residents of 200 Van Ness to determine options for relocation during the project's construction, and re-occupancy after its completion. The existing residents would move into the new building under their existing rent agreements, Johnston said. The new building would also include 117 separate shared student units available to house up to 369 students, as well as three faculty housing units. The 11-story facility would be just blocks away from the conservatory's campus at 50 Oak St., between Franklin and Van Ness. The ground floor would include separate lobbies for the student housing and the replacement residential units, as well as rehearsal space, a restaurant with performance space, and other student dining options, Johnston said. A student cafeteria and the upper levels of the rehearsal space would be on a mezzanine level between the ground floor and the second floor. The top floor of the 120-foot-tall building would include rooftop open space as well as performance space that would rise to 132 feet tall, according to SF Planning documents. The proposed building is significantly taller than the height limit for the block, but project designers are seeking a special exception through a legislative planning code amendment. 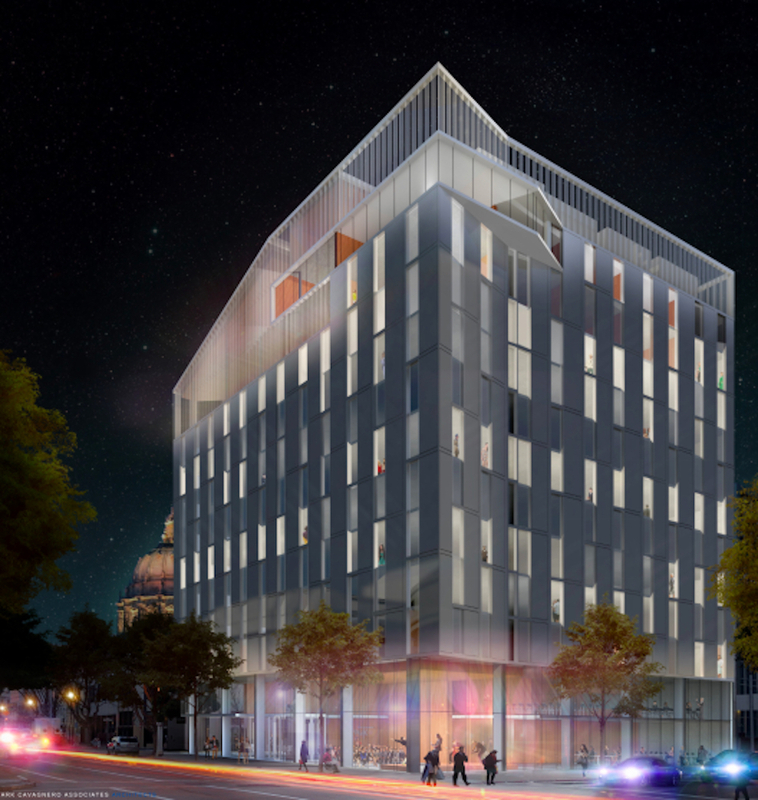 The building has been designed to minimize the shadow it would cast on Civic Center Plaza, according to SF Planning documents. No off-street parking is currently being considered, but the building will have 160 bicycle parking spots. The conservatory has enlisted the help of urban planner Lawrence Badiner to navigate the city's planning application and approval process. The proposal, including its proposed height exemption, is expected to be considered at the Planning Commission's February 8th meeting, Johnston said. If approved by SF Planning, the proposal would be assigned to a committee at the Board of Supervisors, and hopefully come before the full Board before the end of March, he said. If approved, the project could start construction later this year and be completed in about 24 months, he added.